Mr. Justice Habib Ullah Amir in his judgment has decided the issue regarding further physical remand of accused person in Criminal Miscellaneous No. 61180 of 2017. 1. The petitioners have assailed order dated 17.08.2017 of learned Additional Sessions Judge, Lahore whereby he accepted revision petition of respondent No.3, set aside order dated 05.08.2017 of the learned Judicial Magistrate 1st Class, Lahore who turned down request of police for further physical remand. 2. Briefly, the facts giving rise to this petition are that case FIR No.109/16 was registered on 14.12.2016 under Section 302/34 PPC at Police Station City Raiwind, Lahore at instance of Mian Ghulam Nabi/respondent No.3 with the allegation that on 14.12.2016 at about 07:00 P.M. he alongwith his real brother Muhammad Ameer and other family members including witnesses was present at house when unidentified accused armed with fire arms came to the house of complainant, out of whom two came inside Bethak and the unidentified accused armed with pistol 30-bore made firing at Muhammad Ameer hitting on the right cheek of his brother who after sustaining fire shot injuries fell down and accused succeeded in fleeing away on two motorcycles, whereafter, injured was being carried to hospital but in the way he succumbed to injuries and in this way case was registered against unidentified accused. 3. On 05.07.2017 supplementary statement of Mian Ghulam Nabi respondent No.3 was recorded by police who nominated petitioners Ghulam Dastagir etc. with the role that they were seen while hatching conspiracy on 20.11.2016 at about 06:00 P.M. in the house of Ghulam Dastagir and that they had abetted unidentified accused to cause murder of Muhammad Ameer and also that in their presence Ghulam Mohayy-ud-Din petitioner supplied pistol 30-bore and rifle alongwith bullets to the unidentified accused and promised that motorcycle shall also be supplied to them. They were also seen while providing money to the unidentified accused. The petitioners Ghulam Dastagir, Ghulam Mohayy-ud-Din and Ghulam Mustafa were arrested by police and produced before the learned Magistrate and they remained on physical remand for 9-days while on 05.08.2017 on the request of I.O. that accused had promised to cause arrest of unidentified accused, the learned Magistrate refused to give further physical remand and feeling aggrieved Mian Ghulam Nabi, respondent No.3 impugned order dated 05.08.2017 of learned Magistrate and vide order dated 17.08.2017 the learned Additional Sessions Judge Lahore accepted revision petition set aside order dated 05.08.2017 of the learned Magistrate Lahore and directed that investigating officer may have immediately a re-course to learned Duty Court seized with the jurisdiction for obtaining physical remand of accused, hence this petition. 4. Learned counsel for petitioner contends that order dated 17.08.2017 of learned Additional Sessions Judge, Lahore is against law and also against record while it has failed to appreciate that petitioners had only been ascribed role that they had abetted offence and no recovery was to be effected from them; that it has failed to appreciate that accused were nominated on supplementary statement that too was recorded after 7-months of registration of FIR; that the impugned order has been passed to fill up lacunas in prosecution case and order dated 17.08.2017 is liable to be set aside as the guidelines of the Superior Courts for grant of physical remand have been violated; that it has also failed to appreciate that till now no complete or incomplete report under Section 173 Cr.P.C. has been prepared by the police and in order to substantiate his arguments, learned counsel for petitioners has placed reliance on case law reported as “Dil Muhammad Vs. The District Magistrate, Quetta and 3 others” (1997 P Cr. L J 1203), “Riaz Ul Haq and another Vs. Muhammad Naveed and another” (2005 YLR 805), “Mst. Kaisari Vs. Sarkar” (1973 P Cr. L J 156), “Azad Jammu and Kashmir, Muzaffarabad Ehtesab Bureau through Chairman Vs. Khalil Ahmed Abbasi” (PLD 2002 Azad J&K 20), “Bashir Ahmed Vs. The State and 5 others” (PLD 2012 Lahore 260), “Rashid Vs. The State and 2 others” (PLD 1970 Lahore 389), “Mst. Allah Rakhi Vs. Senior Suprintendent of Police Faisalabad and 3 others” (2000 P Cr. L J 1576), “Haseeba Taimor Afridi Vs. The State and another” (2013 SCMR 1326), “Adeel and another Vs. The State” (2016 YLR 2212). 5. On the other hand this petition is controverted by learned D.P.P. assisted with the learned counsel for respondent No. 3. “Learned counsel for accused contest the remand on various grounds and contended that the sufficient physical remand was also granted. Accused have been implicated on the basis of abetment and there is no justification for further physical remand. There is nothing on the file to connect the accused with the commission of offence and requested for judicial remand of the above said accused. On the other, learned counsel for the complainant argued that sufficient material is available on the police file to connect the accused with the commission of alleged offences. Further physical remand may kindly be granted. Additional information regarding further physical remand of accused person can be solicited from AUJ LAWYERS. Feel free to contact us in case you need any clarification and/or require legal assistance regarding similar matters. 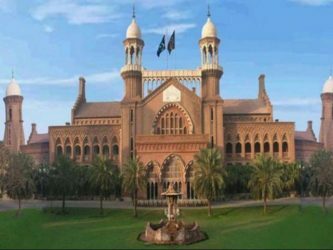 This entry was posted in Case Laws, Constitutional Law, Criminal Law, Knowledge - Constitutional Law, Knowledge - Criminal Law, Lahore High Court, Litigation & Arbitration, Physical Remand, Solutions - Constitutional Law, Solutions - Criminal Law. Bookmark the permalink.